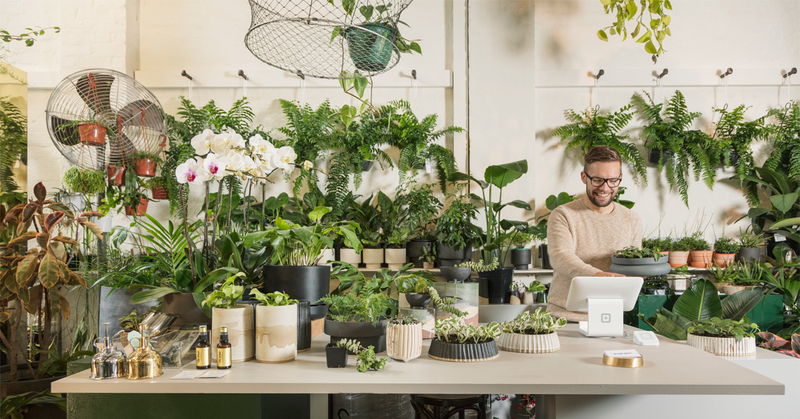 Each year, American Express supports small business owners across the country and helps them prepare for Small Business Saturday® — which includes adding themselves to the Shop Small® Map. The map, and the event, helps local businesses get more recognition and helps community members discover locally owned small businesses. This year, to celebrate small businesses and recognize their hard work, Square hosted a sweepstakes. Businesses that added themselves to the Shop Small map had the chance to win $10,000 to revamp their small business. We caught up with the four winners to learn more about what motivates them as small business owners, the challenges they face, and how they plan to use their winnings to improve their businesses and their communities. Meagan has been operating Alchemi Design, an all-female run, full-service marketing firm and publication, in Maryland for 14 years. Motivated by the desire to own her own business and be her own boss, Meagan and her business partner set up shop to help clients with everything from branding and marketing, to website design. From there, the business has continued to grow and evolve. Inspired by their work with wedding venue clients, Alchemi ventured into print production and started producing high-end wedding brochures, that help couples choose local vendors for their special day. 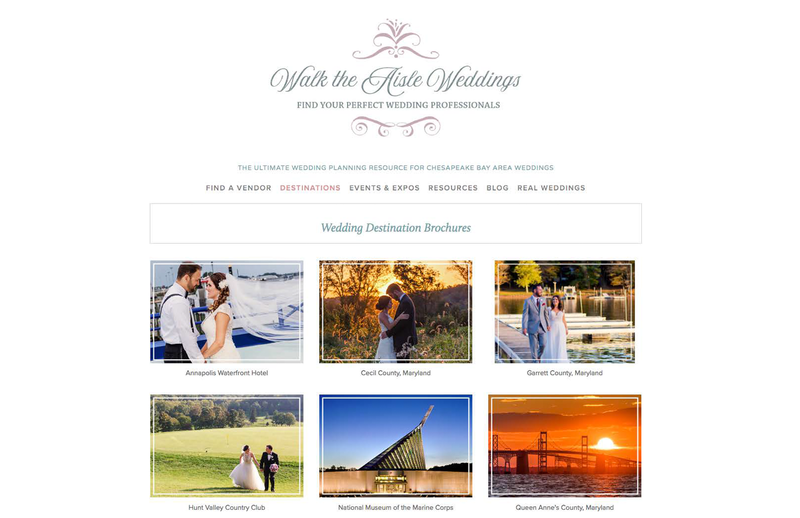 In recent years, Alchemi has also started branching off from just wedding venues to work with other local businesses in their city to grow their city’s destination wedding and travel business. In doing so, they are not only expanding their business, but also creating opportunities for other local businesses. Meagan and her team at Alchemi are using the winnings from the sweepstakes to update their website and showcase all of the services they provide. Learn more about Alchemi and what changes to expect below. Square: What is the best part of being a small business owner? Meagan: Having a good team and all of us working together. We love being able to expand our brand and come up with new ideas together. It’s great to use a skillset to help others and watch how well received it is. Making sure that everything is ready for deadlines. Our business has grown very quickly and we need to stay on top of making sure we have a checklist of our own. How has your industry changed since you started your business? Fourteen years ago print was popular, but now everything is more digital. That’s why we wanted to have a more digital aspect. When couples go to venues, they want to have something in their hand when they leave, but they also want to have something to look up when they get home. How did you feel about winning the sweepstakes? Surprised! The sweepstakes comes at a great time when the website was needing an update to look fresher and younger. What changes are you making to the website? Overall, we’re trying to make the website more user-friendly. The traffic to the website has doubled over the last year and we want to provide more resources. We’re also adding a new section- an art shop for couples to purchase art that complements their wedding theme. Check out the before photo below. For Ricky, owning a barbershop seemed to be his destiny. Ricky started his career in barbering as an educator at a Paul Mitchell school in Orlando, Florida. From there, he joined his family friend Mr. Eli to help him run his barbershop. While there, Ricky learned more about the industry, and in 2010 Mr. Eli asked him if he wanted to purchase the business. The timing wasn’t right for Ricky, and he decided to decline the offer to focus on his family. In 2014, Ricky’s friend and mentor Mr. Eli passed away and left the barbershop to his son. After some time managing the business themselves, the family ultimately felt that Ricky, having stayed close with the family, was the right person to take over the business. Today the business has changed but it’s kept its roots. Ricky’s current shop is one of the oldest businesses in his area and has become an institution in the community. To update his shop, Ricky is focusing on updating the interior of his barbershop. 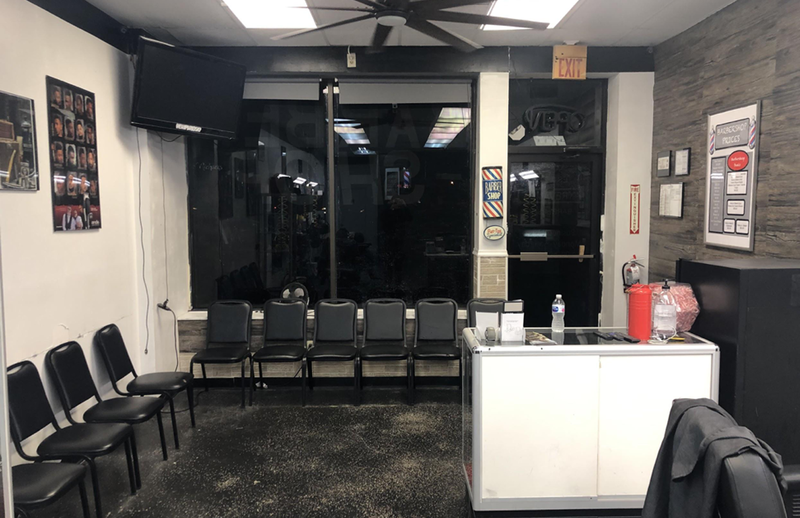 He plans to replace the barber stations, install a new floor, give the shop a fresh coat of paint, and refine some details. 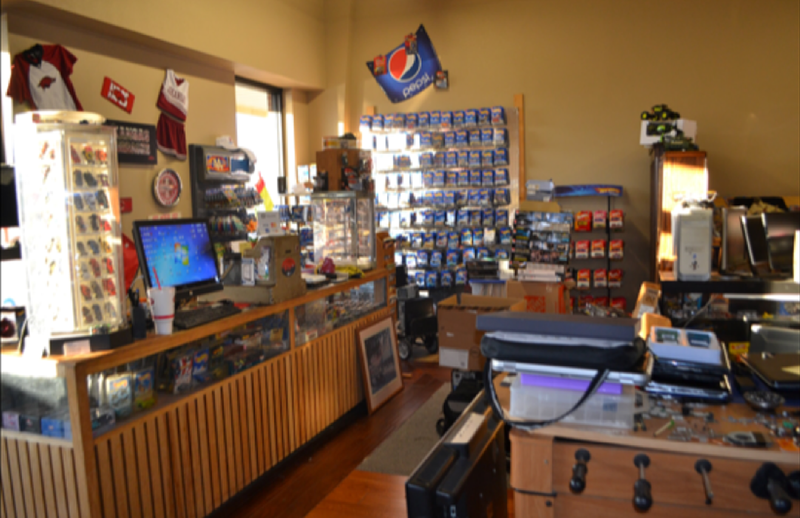 Check out a before photo of his shop below. Square: What was your reaction when you learned that you won the sweepstakes? Ricky: I was in shock when I got the call. I thought it was a joke at first and I told the person on the phone that I didn’t have time for jokes. What is the best part of being a small business owner? The people. The people that work with me and the clients. The camaraderie we have is amazing. You hear from people about everything — divorce, kids, life problems. We’re pretty much an affordable counselor. For $20 you look good and feel good and have an amazing conversation. What is the hardest part of being a small business owner? Owning a business is constantly an uphill battle, especially when you’re trying to pave your own way. At times it can feel like you take one step forward and then take three steps back. Phillip started 12 Gage after he retired from a 25-year career as a biotech engineer. What started as a hobby 10 years ago, creating custom fabrication goods, turned into a full-time business, which Phillip has been dedicated to for the last two and a half years. 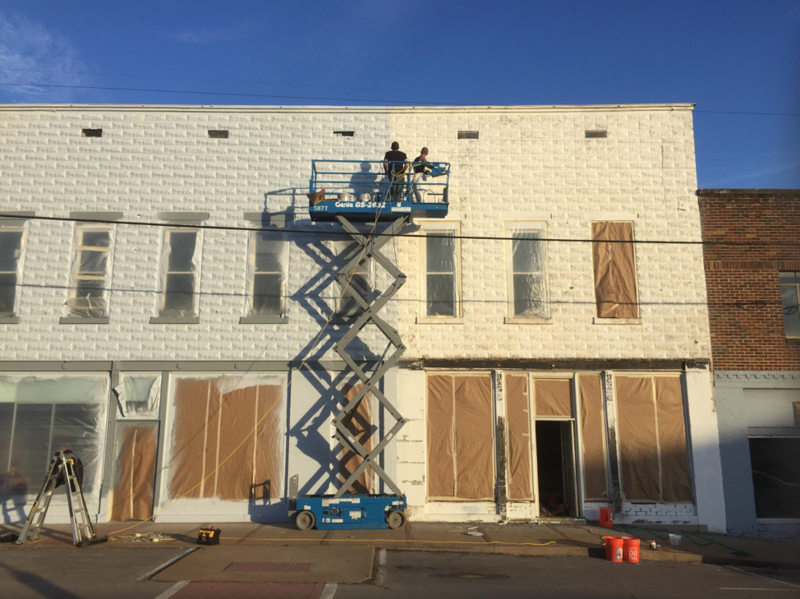 Phillip bought the building his business is in earlier this year, but with a building that’s over 50,000 square feet, it takes time to make improvements. He plans to use his sweepstakes winnings to update his storefront. Check out and in-progress photo below. Phillip: I like the challenge of growing a business. It’s unlike anything I’ve ever done in my previous career as an engineer and it’s a challenge. I’m enjoying it. Square: What is the hardest part of being a small business owner? For me, it’s definitely the sales and marketing part because I’ve always been into building and designing. Those parts are the easy parts. Getting the word out is challenging, but once you get enough people and a steady customer base, it takes off. The business has grown continuously since I started doing it full time. How do you think the updates you are making will affect your community? It’s a big deal for our community, people are excited. The building was empty for awhile and needed some work and people are really excited. Kwa started The Fresh Yard in 2010, out of a passion for music and fashion. The clothing and apparel shop began as an online store, then expanded to a storefront. 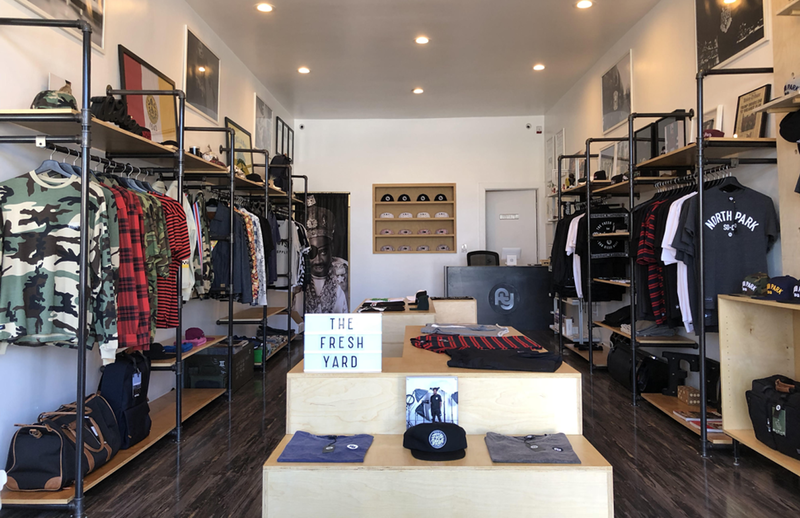 In the North Park area of San Diego, where The Fresh Yard is located, community and shopping local is important. Shop Small Saturday is one of their biggest sales days of the year and is promoted more by local businesses than Black Friday is. Check out an in-progress photo below. Kwa: The freedom and creativity. I can make my own decisions and don’t have to ask for permission. I also love what I do. Managing finances. I’m more of a creative person and not really a finance person. The operations and creativity parts come easily to me. What was your reaction when you learned that you won the sweepstakes? I had to double-check that it wasn’t a scam … after that I was ecstatic. It came at the right time. I had been wanting to remodel my store. It was perfect right before the holidays. What changes are you making to your store? The back wall of the store is becoming wood, to match the fixtures. We’re also adding LED light under the hat shelf and putting a neon sign on the wall, new track lights in the wall, and a new blade sign on the front. We have a local artist painting a feature wall in the front of the store to tie everything together. Jerry started his computer resale business in 1999. What started as a side business buying old computers to fix up and resell launched into a full-time endeavor with the help of his son, who received an education in building computers. When customers come to Jerry with quick fixes, he’s known to not charge for the ten minutes of his time it takes for the repair, knowing that he’s building a trusting relationship with those customers. By treating them like family, Jerry has been able to maintain a loyal client base, with customers all over the country — even in Puerto Rico. With his winnings, Jerry is focusing on simple aesthetic updates to take his store to a new level. He is planning to resolve lighting and flooring issues with the objective to streamline the shop. Check out the before shot below. Oh, and how did he choose that name? For his hometown football team, the Arkansas Razorbacks. And fun fact, his business tripled when he switched from CBR computers to a name everyone in his town was familiar with. Jerry: The freedom and versatility I can have as a smaller business owner. Square adds to that freedom. I’m a one-man show and most of my clients know I’ll take service calls. With Square I can take payments while I’m out on those calls. Being so versatile and being a one-man show all the time can be difficult. When I’m out on a service call that means no one is in the shop, which can lead to missing in-store sales. How do you differentiate yourself from other businesses in your field? I consider myself the honest hometown tech, who is really looking out for what’s best for my customers.